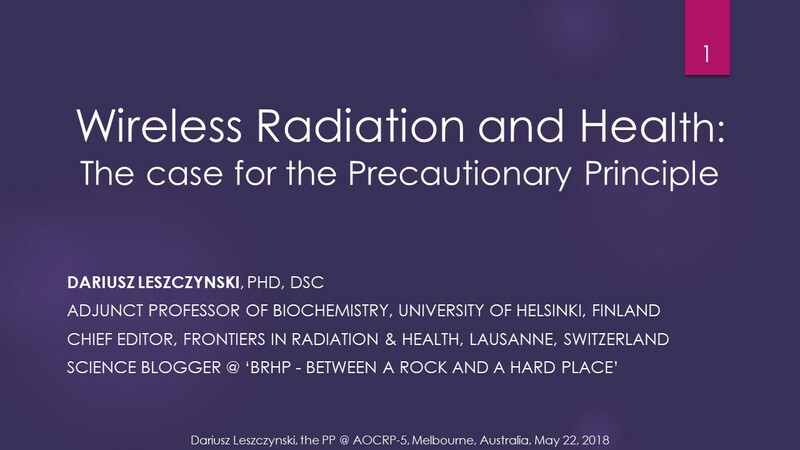 Reports from the both meetings and slides of presentations by other speakers will be published in mid-June 2018. 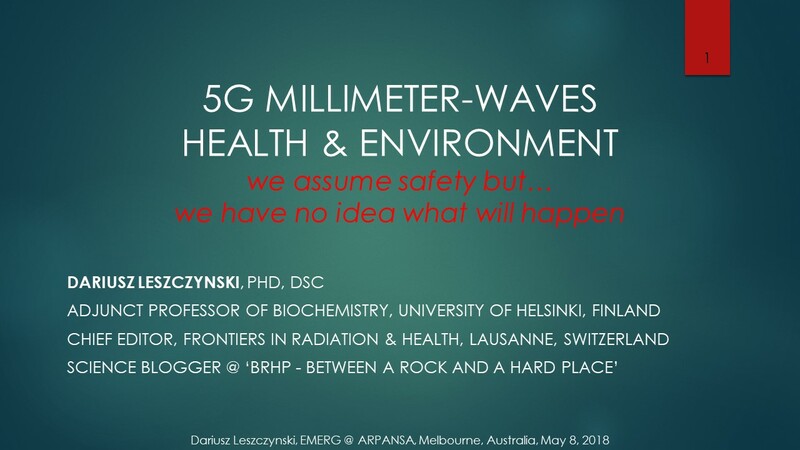 This entry was posted in Mobile phones and health and tagged 5G, AOCRP-5, Australia, EMERG, Leszczynski, Melbourne, millimeter waves, precautionary principle by dariuszleszczynski. Bookmark the permalink. 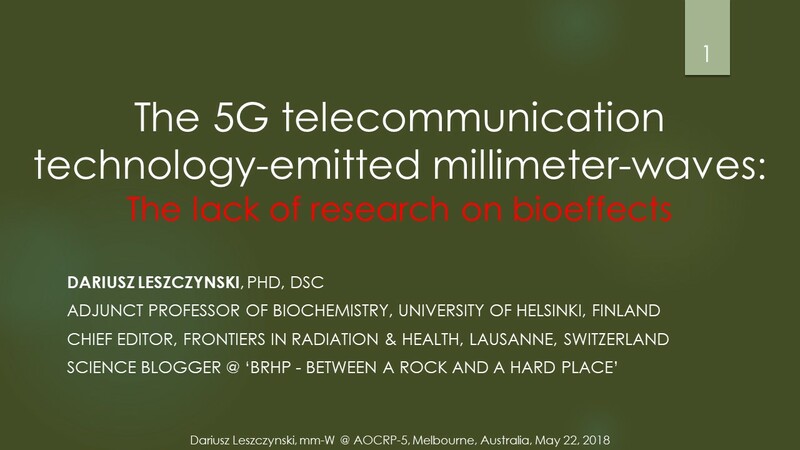 Hi Dariusz, l am looking forward at viewing your slides, as am involved in 5G exposure dosimetry. The skin is treated as a multi-layered dielectric slab. Best wishes, Q.